Phoenix racing is not a newcomer to motorsport, and again, not a long termer. 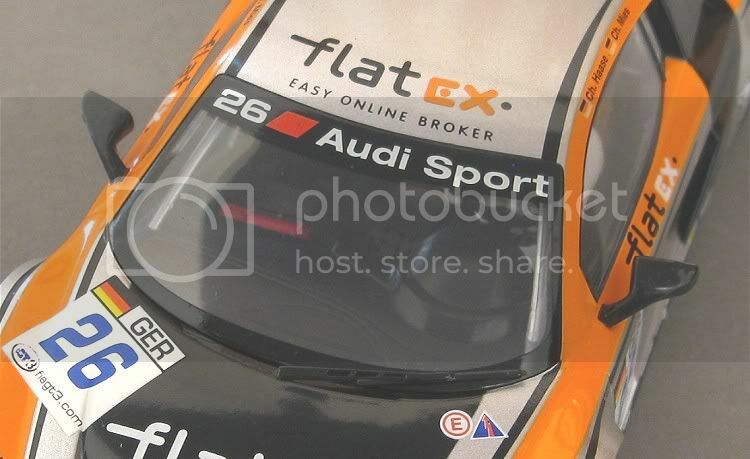 The German team in its present form started about 1999 by contesting the DTM series of the day with A4 Audis. One of their more recognisable cars was the blue and yellow ‘Vodaphone’ Opel Astras of the 2002 DTM series, notably driven by Manuel Reuter. Other cars they have fielded include Porsche GT3’s and an Aston Martin DBR9. The GT3 series is one of the most advanced racing series today, with technology increasing in leaps from series to series. What else can we expect with names like Porsche and Audi at the forefront ! The 2009 series was well contested and there was a good cross section of supercars in the field, including Lambo. 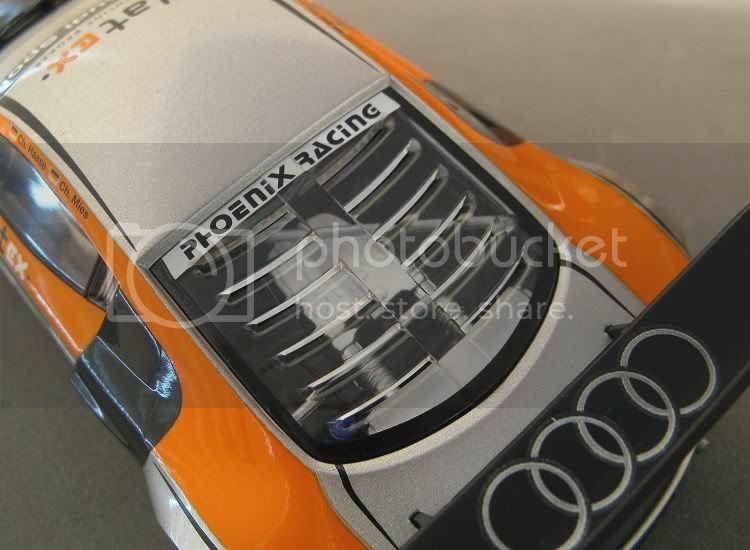 Gallardos, Ford GT’s, Ferrari 430’s, Aston Martin DBR9’s, BMW Alpina’s, Corvettes and more. 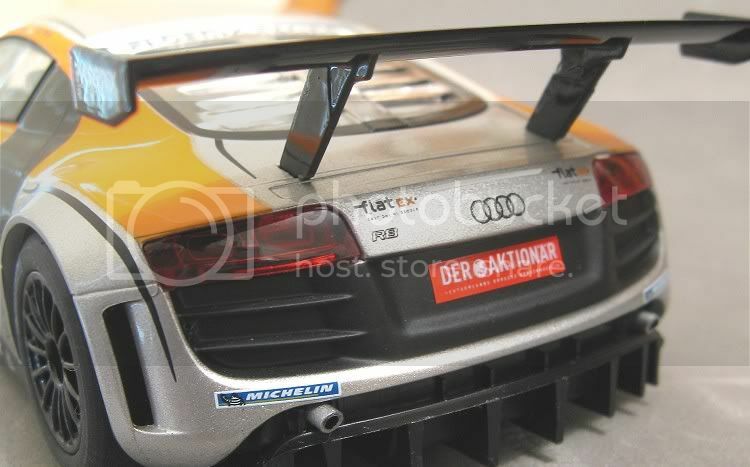 The Audi R8 LMS has been developed as a ‘customer’ car by Audi and there are no shortage of them on the grid this year. It comprises an aluminium ‘space’ frame with a carbon fibre / aluminium body. The engine is a direct petrol injected V10 DOHC with a swept volume of 5200 c.c. producing 386 kW while running two race catalytic converters!! Drive is through a twin plate sintered metal clutch to a rear mounted six speed pneumatically actuated sequential gearbox driving the rear wheels. 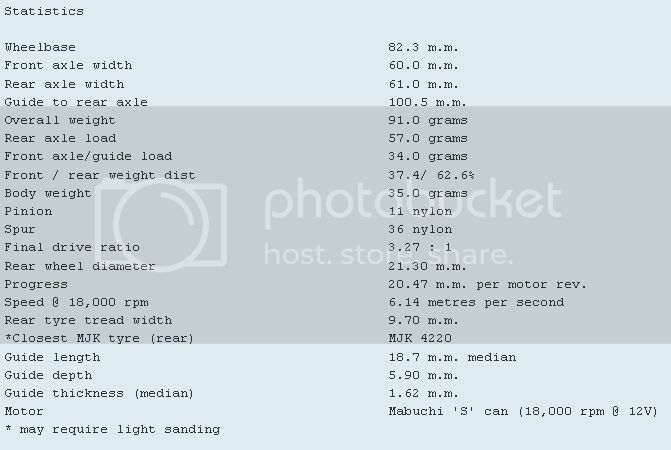 So how does all this information translate into the model, well, not a lot really but it’s a fine model all the same. 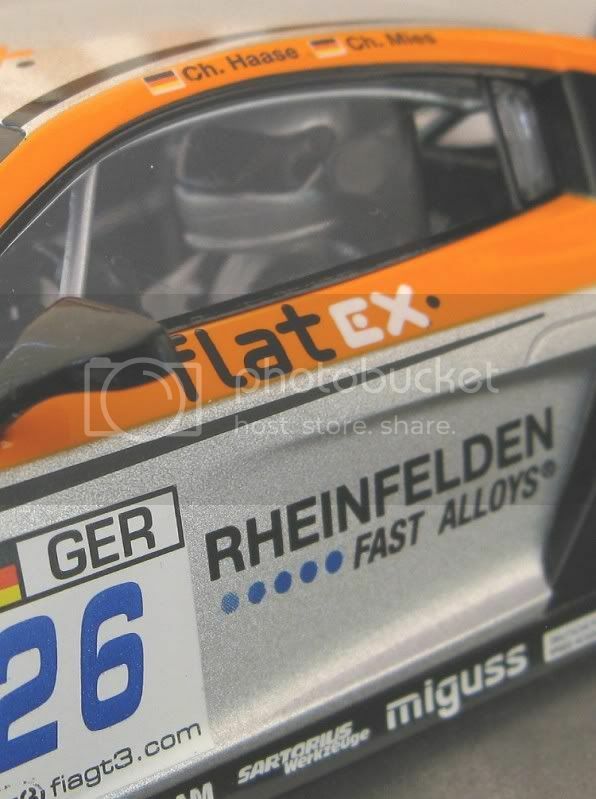 Scalextric are perfecting the art of good models out of the box. Having said that, there are still one or two models which catch you unawares and which need a bit of setting up SOOB. But rest assured, this isn’t one of them. The first thing that impresses you is the livery. 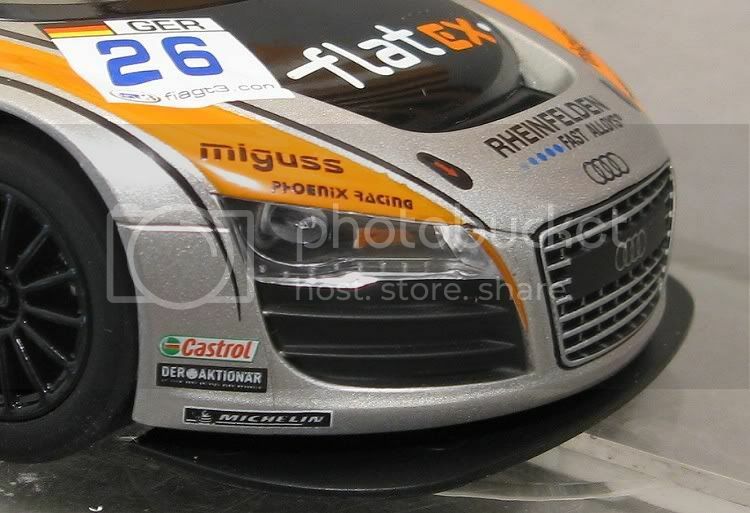 Not too fussy but a nice balance of the silver, black and orange of Phoenix Racing. Tampo is almost unfaultable and looking at the on line pictures it seems to be a copy of the 2009 mid season version. And amongst the technology and modernity is the age old image of the Michelin man. Even though the tampo is crisp and accurate, I feel the model could have had a bit more gloss, especially from the silver parts. After all, even race cars shine! 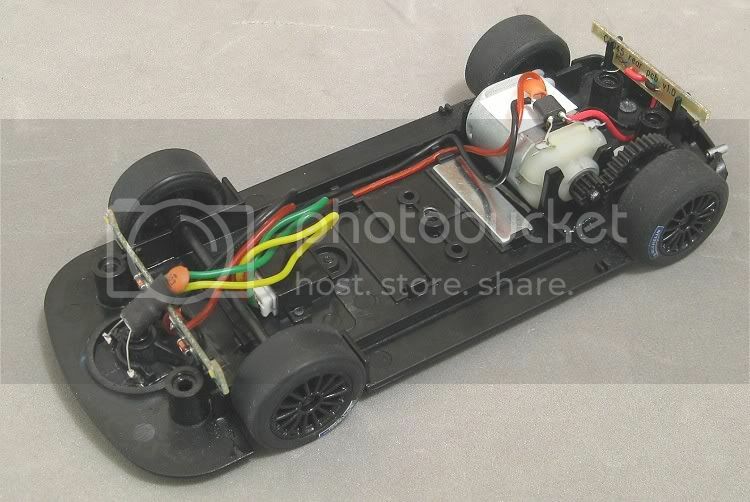 One thing I like about Scalextric cars is the fact that they disassemble. The driver's tray clips out revealing a tidy interior and once removed, the clear parts slide out after it. Scaley have taken time to model a very smart roll cage but have backed off a bit with the rest of the interior detail. A pity really, as the exterior has dictated that the rest should be as good. The real Audi has a sophisticated irregular shaped steering wheel, but we get a more regular offering, but perhaps I’m going too far? In the life of the model, the interior will probably never get more than a cursory glance, pity. 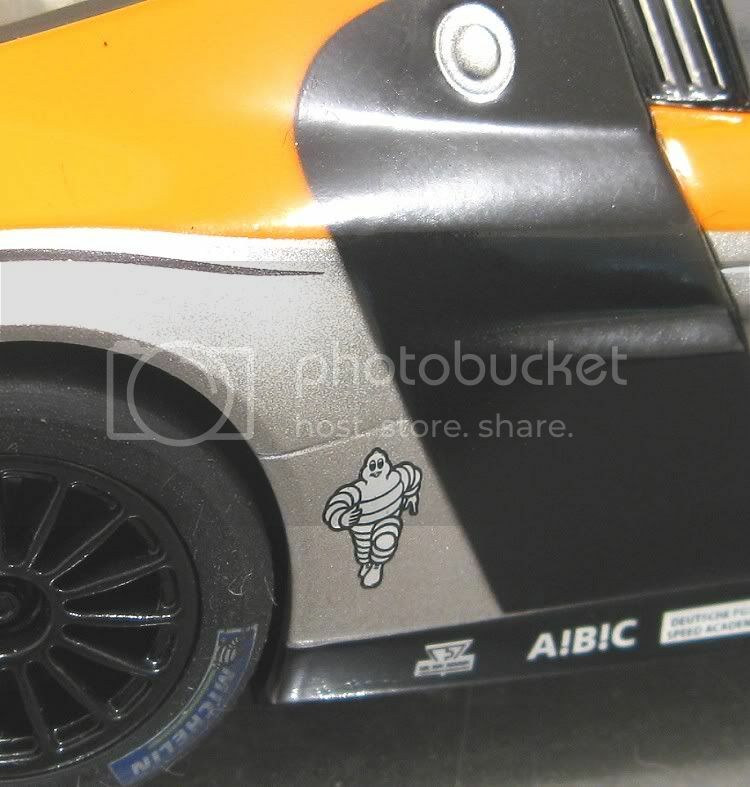 The rear wing is held in place with a soft compound adhesive and it would be quite easy to pull it from the body! This may also be a saving grace in a track incident, and I’m sure the wing and door mirrors will be part of a Scaley spares kit for those unlucky enough to break them. 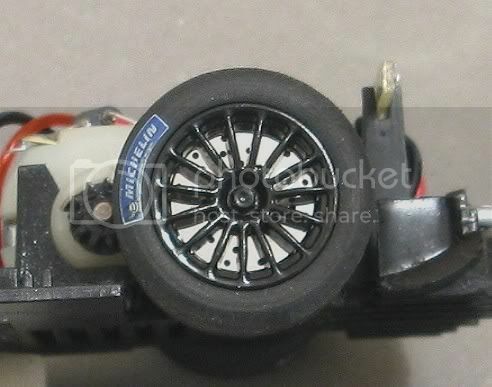 Looking around the interior, Scalextric have opted to glue all their components in place rather than spot heat them. Good idea? Time will tell. But as mentioned elsewhere before, one of the endearing features of Scalextric models which helps to keep their resale value higher than some is the fact that you CAN repair them successfully, regardless of their age! The chassis is tried and tested Scaley fare and there isn’t too much that can go wrong. The guide is sloppier than I would like and an attempt to tighten the screw in the top revealed that it wasn’t doing much in the first place. In fact, the screw turns endlessly with no effect, leaving the guide as sloppy as most SCX cars! Not only that, the two skinny wires from the guide always look a bit suspect to me, having already had one break on the McLaren M23. Luckily, they too are available as a spare part, and Kevin at Scalexworld Adelaide managed to sort some out for me. Still up the front, the front lighting board is loose in its clamps and it pops out at the first opportunity. It can catch you out when reassembling the body, so it might be prudent to put a drop of 'Blu Tack' in the slots just to hold it down while reassembling. The front axle is assembled in the chassis and on the setup board shows itself to be in the right spot! Wiring to the motor is tidy and the rear end is pretty much standard Scaley. Wheels are very good as far as concentricity is concerned but the tyres are a little out of shape. The rears are slightly concave across the tread area too, so if you are going to keep the original rubber on, it will need truing. The rear axle has a bit of end float and I would be inclined to shim it out just for peace of mind. On the track SOOB the model has a very respectable turn of speed and with a couple of adjustment it can be made to fly. Where the body posts sit on the chassis they fit into recesses. For serious competition, I would be inclined to cut the lips off the tops of the mounting post recesses. I might also turn the screw holes out a little larger with a small round file to allow more body movement on plastic tracks. The front tyres would benefit from being ribbed or grooved as this would reduce the amount of drag during sideslip on more grippy surfaces. 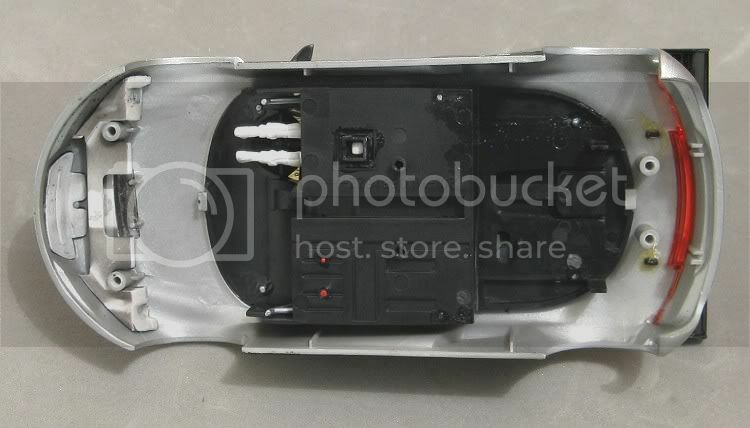 Lastly, it goes without saying that it would be raced with the two tiny drivers tray screws removed. That should be a good starting point for a successful racer. 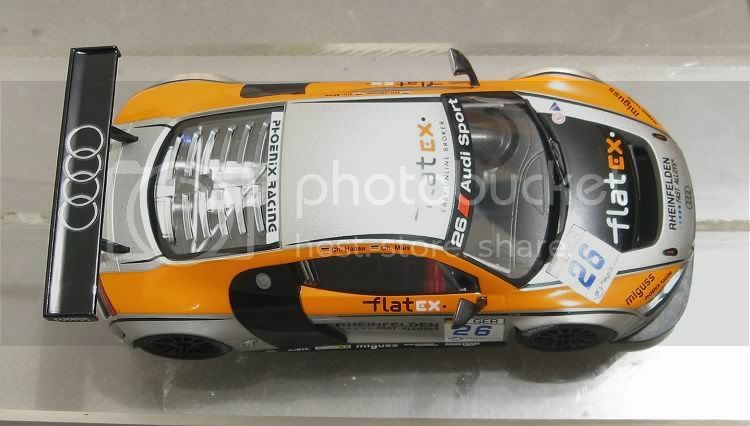 Many thanks to Chris Dietrich of the ‘Slotcar Legends’ and ‘Q32’ race groups for loaning me the model to review, and yes Chris, it will fly when you get it back!! Nudge, nudge, wink, wink, say no more!